Bodyboarding is a very fun and exciting past-time that both kids and adults can enjoy. It is much easier to master compared to surfing, and therefore is very popular amongst beachgoers and holidaymakers alike. 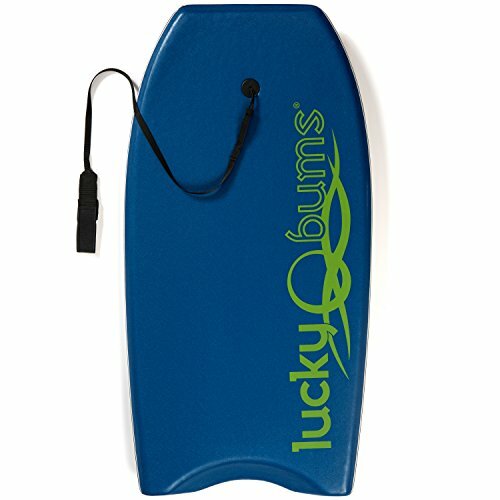 This Lucky Bums Bodyboard is made for family fun, as it is designed for both kids and adults. 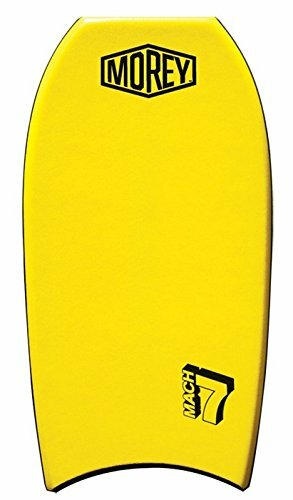 The board is made with 60/40 rails, rear channels, and a high-density polyethylene slick bottom, allow you to board in all wave conditions with maximum control. The board has a very high-quality design and uses some of the best materials. It has an engineered EPS core which makes the board lightweight, very durable and very buoyant. The board also comes with a leash attached, meaning you can hit the water ASAP. 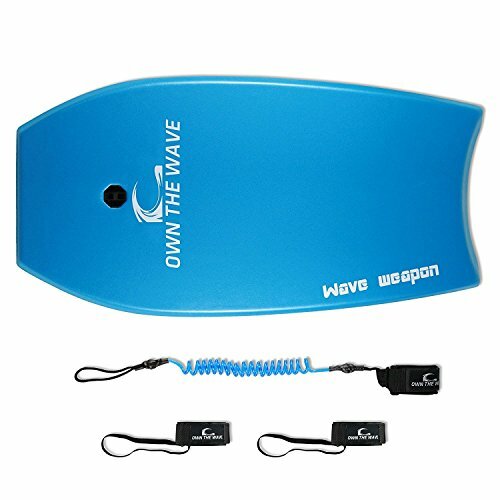 This pack from Own the Wave comes with the super lightweight Own the Wave “Wave Weapon” bodyboard, plus Own the Wave’s premium coiled leash. You will also get a set of fin tethers that will ensure you don’t lose your fins while out at sea. The Wave Weapon Bodyboard is designed with control and performance in mind. It is incredibly light and has a high-speed slick bottom. The EPS and rear channels add to the performance of the board, and the crescent tail adds to the speed and control of the board. The Bo-Toys Bodyboard is lightweight and made with an EPS core, heat lamination technology offers immense impact strength and durability. Being lightweight and rigid, the board offers you a lot of maneuverability, increased speeds and strength. The board has a very durable design, with an HDPE (High-Density Polyethylene) slick bottom with channels and a crescent tail. The board has very compact feeling and is suitable for all wave conditions, with 60/40 rails for increased maneuverability and control. 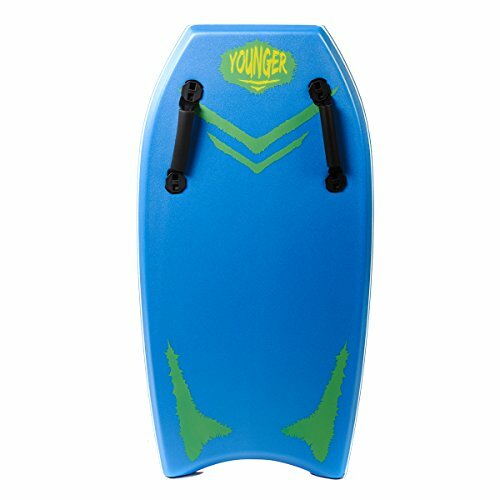 The Younger Bodyboard is designed for both adults and kids, with kids being able to use it well with the addition of handles that are attached to the front end of the board. A very high-quality and strong leash is included to keep your board close. The board has an IXPE deck, an EPS core and Heat Lamination Technology. This heat lamination offers immense strength and rigidity to the board. The board has 60/40 rails, adding to the control of the board and making it suitable for all wave conditions. The BPS Storm Bodyboard comes in a pack that includes the bodyboard, BPS’s premium coiled leash, as well as fin tethers. 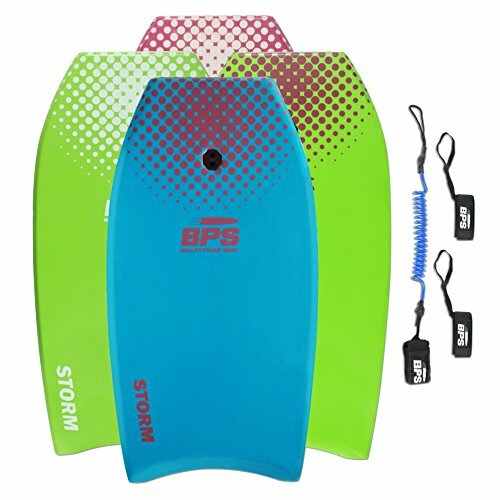 This whole pack allows you to get into the water ASAP and bodyboarding. 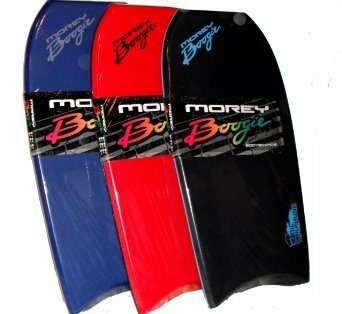 The bodyboard is very lightweight and is designed with a super-slick bottom to give you increased performance and speed. The EPS, bottom rear channel and crescent tail further increase the already great performance of the board. 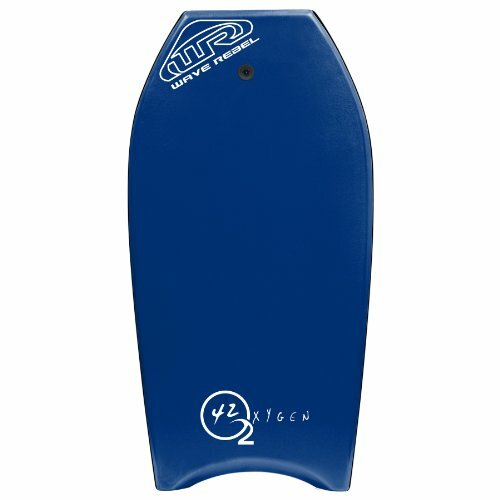 The Mach 7 Bodyboard is one of the most recognizable bodyboards on the market. The classic shape and design is tried and tested and has been loved by bodyboarders and sea lovers the world over. The board is designed with a PE core and a crescent tail. This keeps the board lightweight, but still very durable and easy to control. The Mach 7 offers strength and versatility and can handle multiple different riding styles and wave conditions. The Wave Rebel Oxygen Bodyboard is designed for the advanced rider. The board has a medium flex, which makes it great in both cold and warm water. The build quality is also incredible, washing it with fresh water after use will make it last longer. The board is designed with a XEPE deck, an EPS core, and 1 FRP. The FRP can be a tube or rod that runs through the core of the board. This then helps the boards longevity, it amps up the performance as well as the speed. This board of the California Board Company is made for both kids and adults. It is molded for comfort, and for maximum control. The board is designed for use in all water and wave conditions. 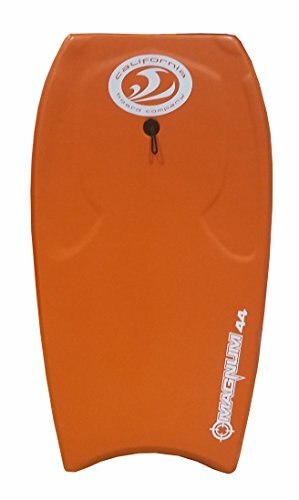 The board has a high-density polyethylene slick bottom with bottom channels to increase speed. The crescent tail design adds comfort and control. The arm wells on top ensure a locked-in fit and added control. 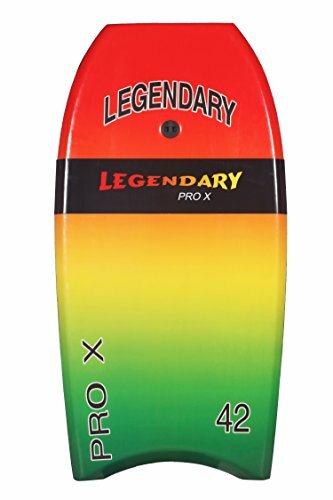 Legendary Bodyboards are heat sealed, not glued like many other boards. The heat sealing process bonds the layers together and provides a stronger and stiffer board. This in turn then prevents the board from bubbling. The board is lightweight and has a hard slick bottom, it also has a detachable retention wrist leash. The board is designed for both beginners and expert bodyboarders, as well as different water conditions and temperatures. The 44-inch Big Kahuna Board from Morey is designed for larger riders, adults 5 foot 10 and up, or 180 pounds and up. The crescent tail helps lock the body in place and helps you improve the control and balance of the board. The board is embedded with a Power Rod Stringer, which is a dual composite carbon strength tube which improves the control of the board. The polyethylene core features a strong, medium density, closed cell foam suitable for cold and warm water. 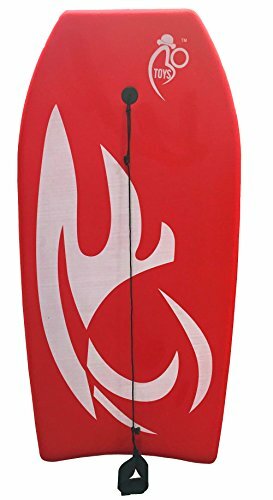 Having a great bodyboard for you and or your family is a brilliant piece of gear to take with you to the beach or on a beach holiday. They are fun, safe and very easy to use, and are great for adults and kids alike.